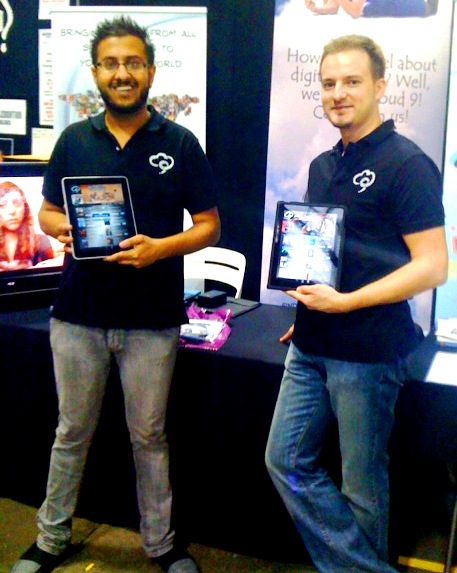 I spent the weekend having fun at Armageddon, an Australian expo which features SF and Fantasy from around the world. Even though much of the con is devoted to the global scene, let me highlight two exhibitors who I think illustrate the great things coming out of Australia. Having come from the Australian Gaming industry, Alister has been through ups and downs. Haven’t we all? 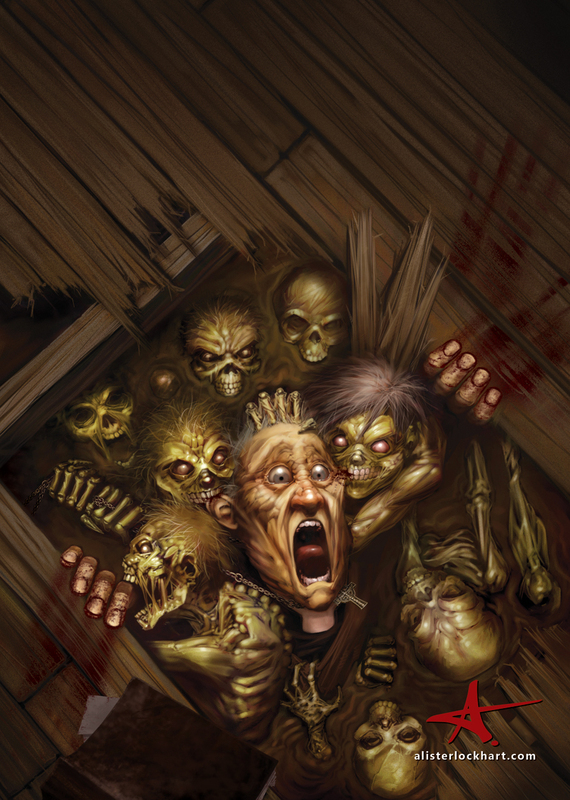 But I was amazed by his drive and dedication to the world of fantasy art. His cover designs are amazing to say the least. But I was also impressed by his website, where he showcases a great deal of art created over the years. I was impressed, and would urge everyone to check out his work at alisterlockart.com. 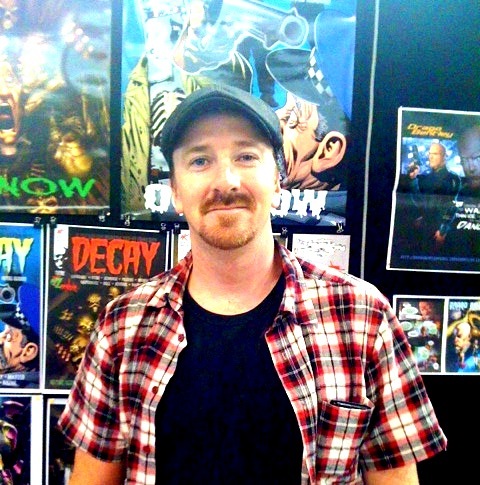 is a digital comic book publishing arm of Spectrum Pacific Publishing, which was founded by Benjamin Slabak (right in photo) in 1996, in Sydney, Australia. Even though they’ve been around for some time, the big news is the launch of their iPad app which officially went live in iTunes on January 5, 2011. To me this is a perfect storm (in a good way!) of technology and art. Selling comic books on the PC and other on-line forms has not been good, but not perfect. However, all that’s going to change. I took one look at the iPad app they have and bamm! I fell in love with comic books all over again. The experience was even better than paper. Can believe that? Think about it; you now can carry around unlimited comics, enlarge individual panels, see them in breathtaking color, and most of all not worry about ruining fragile bond pages. This I believe, is the ultimate technological driver for the comic book industry. Paper, is dead! Long live the iPad…, and anything else that lets you read comics. Anyway, I have more pics to share about the con, I will upload them in later posts. For now, just check out the links and enjoy.